Trudging a 100 meters or so through the soft sand, one has no idea what’s on the other side of the low hill. 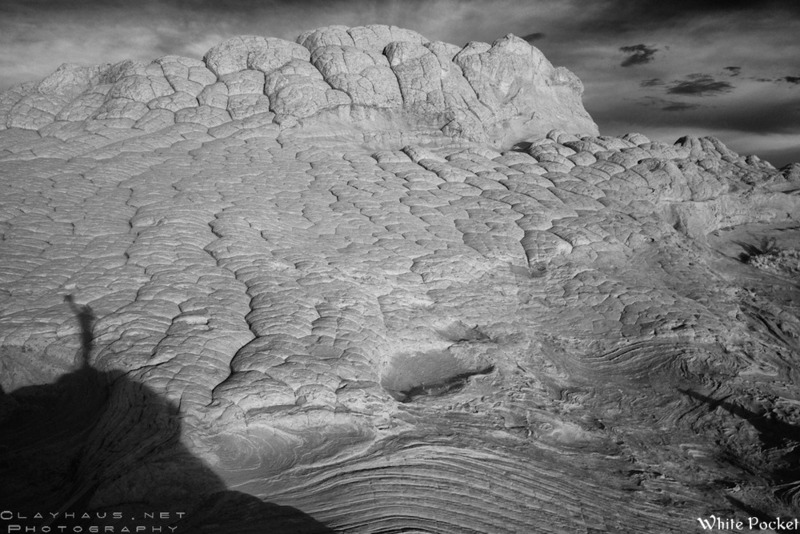 Even if you have seen photos of White Pocket, you cannot really be prepared for it. Trust me. Bold, expansive, riotous, chaotic, contorted and complex, bright white and popsicle orange, weathered and eroded, weird, strange and otherworldly. 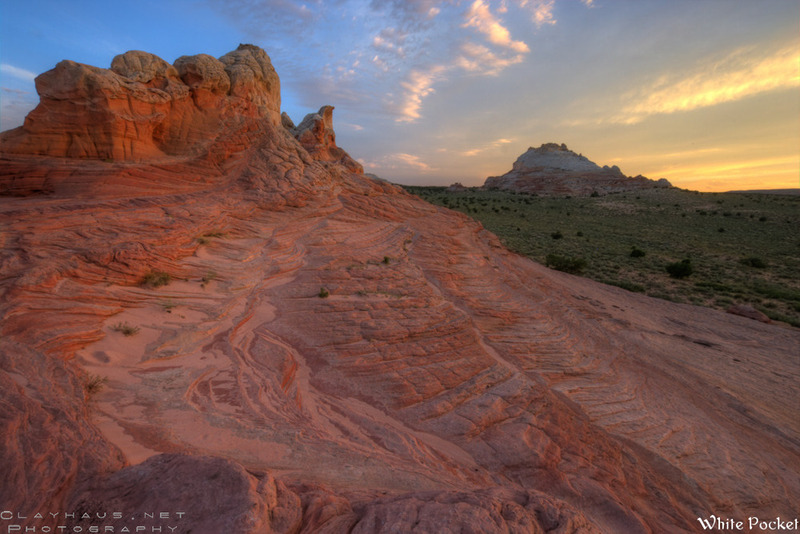 While all true, these adjectives only go so far to describe the pleasant insanity that is White Pocket. 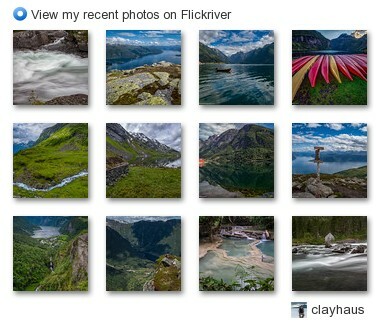 Even photographs — no matter how beautiful and stunning — can only give you snapshots of the craziness. Macroscopically compelling and microscopically arresting, you can spend hours working just one small area, following twisty-turny lines of strata with eye and camera, or sit perched on the elephant hide-like back of the highest point that acts as both a viewpoint and a visual reference point for this otherwise easy-to-get-lost-in-landscape. Bring your panoramic camera (and/or ultra-wide lens) but don’t forget your 105mm macro: you’ll want them both. 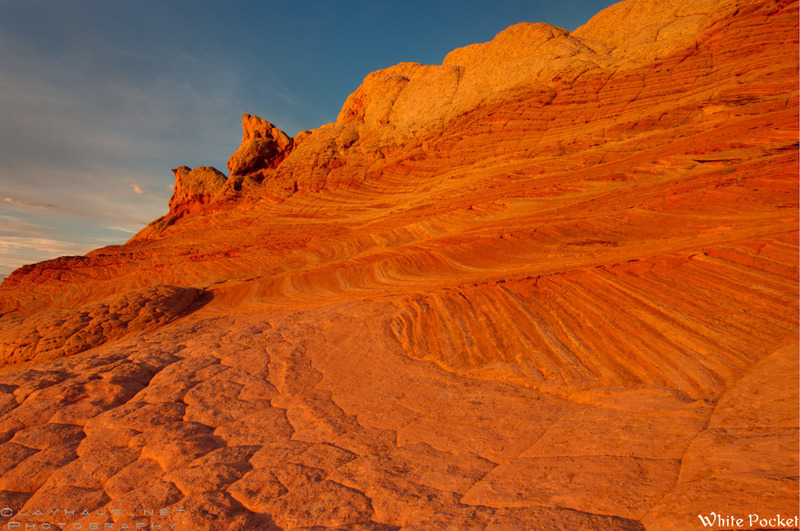 It’s easy to imagine spending days here exploring the various nooks and crannies and since camping is still permitted, White Pocket really deserves at least an overnighter. I spent two afternoons extending into and past sunset both days, and perhaps had covered maybe half of the exposed sandstone. A mile or so away rises the bulk of White Pocket Butte and that would certainly afford many more exploring and photo opportunities. 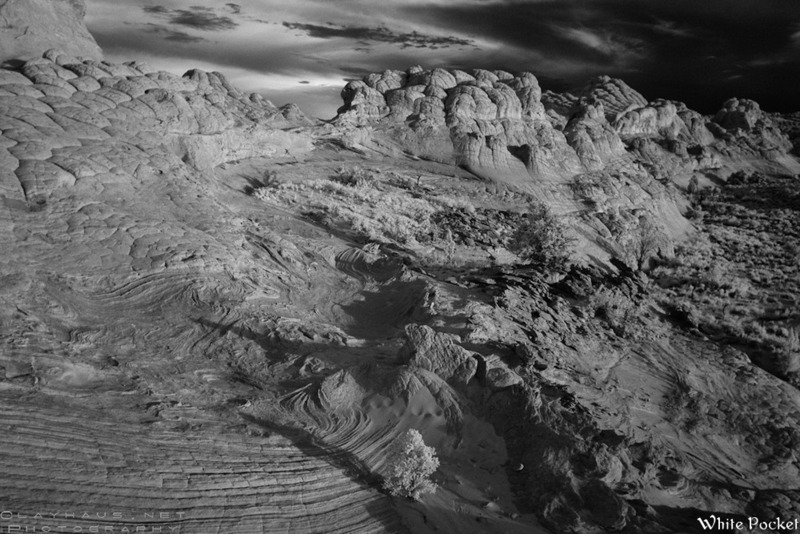 While visually cacophonous, the arduous drive into White Pocket assures you of quiet, tourist-free time. Though I had seen many photos, I was not prepared for The Wave. 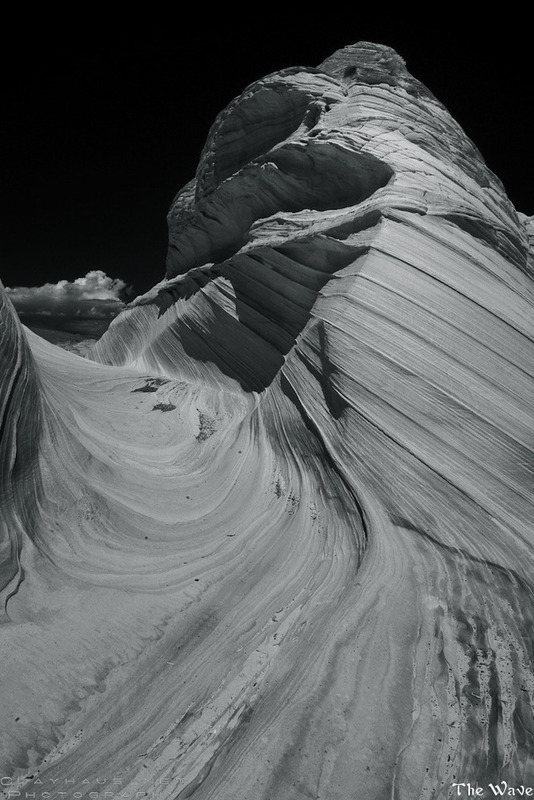 After scaling the last steep and deep sandy hill, you enter The Wave through what appears to be a hollowed out sandstone hall with no roof. 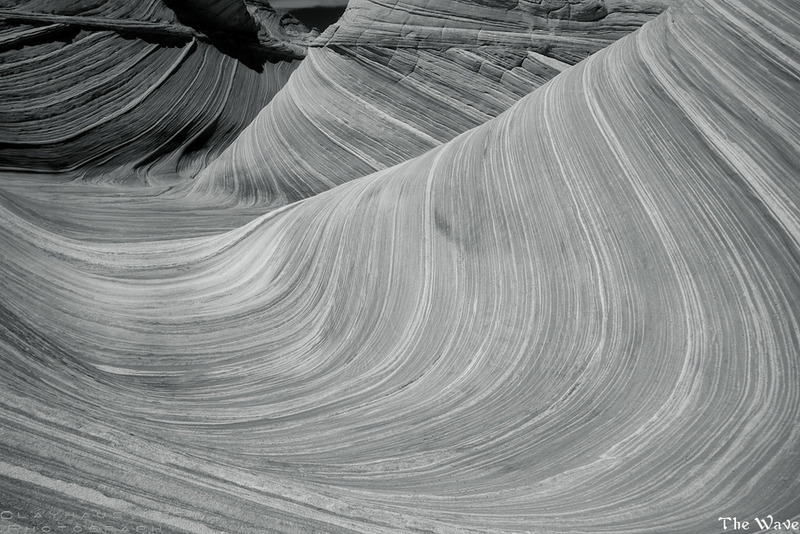 Smooth lines flow sonorously through and around The Wave. 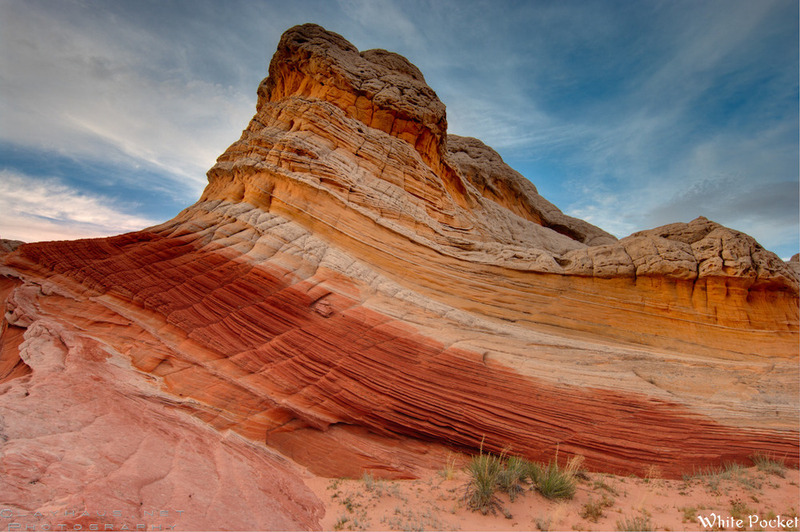 Serene, graceful, and harmonious, this is the Yin to White Pocket’s Yang. Very compact (another surprise as most photos can’t really reveal its scale), The Wave proper could easily be explored and photographed in a half of a day. If you had more time, you could try to find the Second Wave and and a small arch nearby. No camping is permitted, so get out there early and maximize your time. 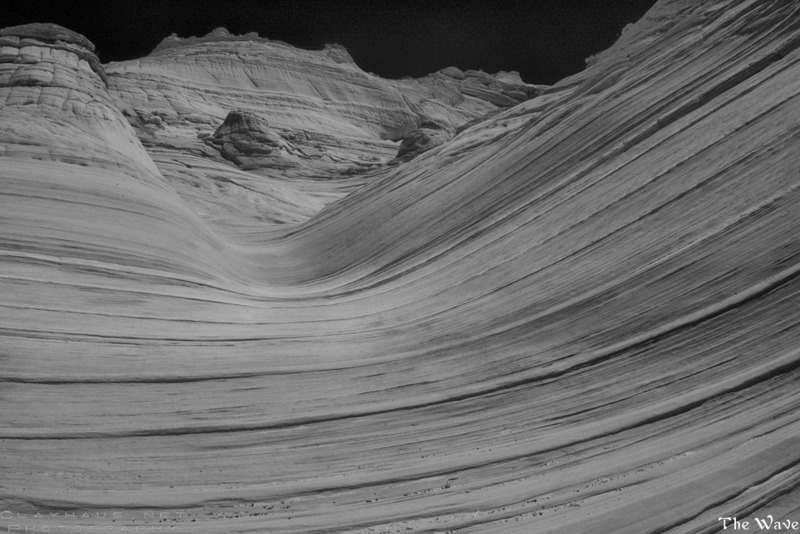 The Wave has become the latest in a long-list of must-see/must-photograph landscape icons. Shooting them is a challenge, if you want to say something new, rather than just replicate what others have done. 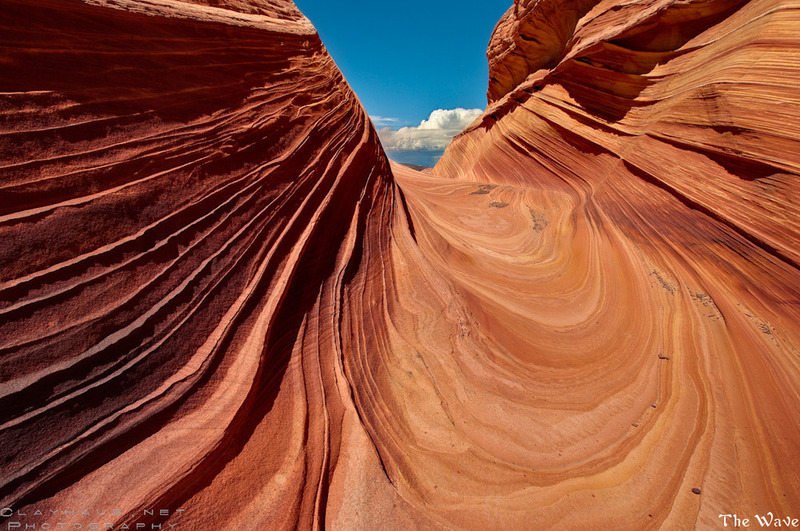 In the case of The Wave, I initially shot from what has become the standard, central position, but then I crawled high up on the bowl edges in several places as well as chose low angles inches from the sandstone. I also used infrared and panorama cameras. There are always ways to put a unique spin on a familiar setting. 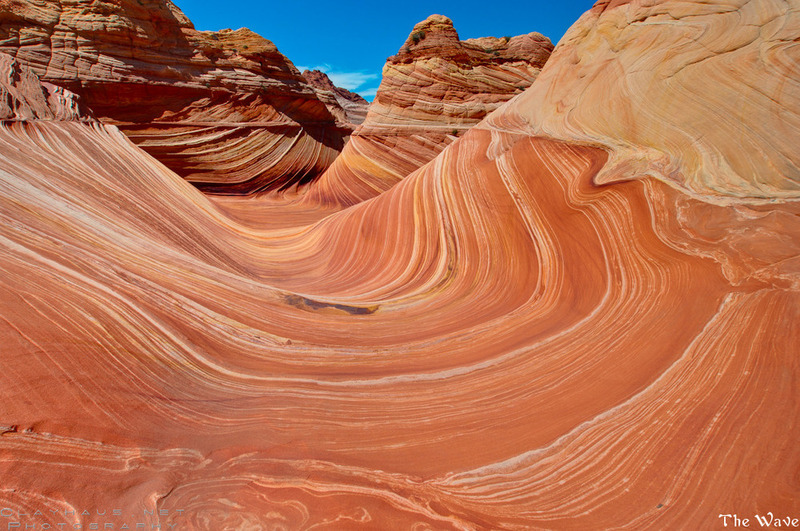 Upon my return I was asked which I liked better: The Wave or White Pocket. The facile answer is “they are different” but it also happens to be very true. They are both sides of a (sandstone) coin. It would be like saying you like ‘heads’ better than ‘tales,’ when really you can’t have one, without the other.